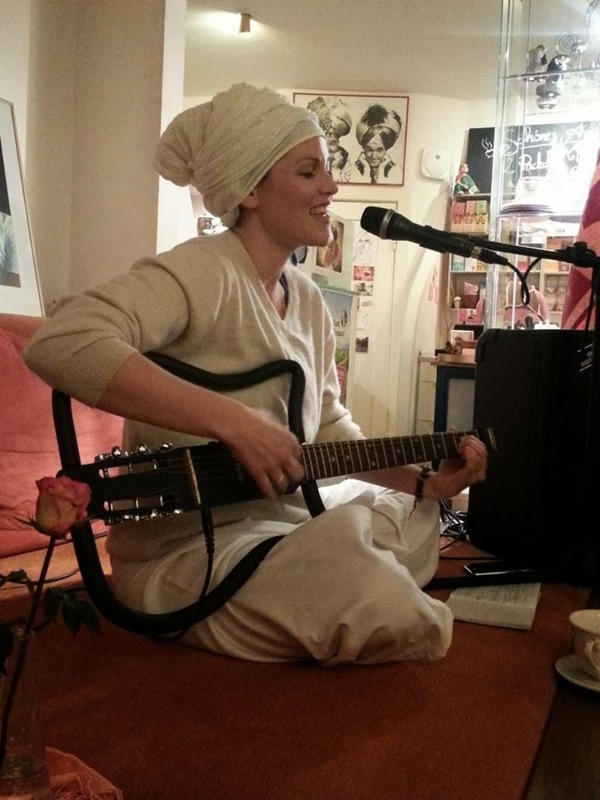 Sarab Deva: November in Berlin and Hamburg and my fourth album for 2013! November in Berlin and Hamburg and my fourth album for 2013! I am writing to you from Cape Town today, where I started my tour this year in April. We have been back for a few days now and have taken some much-needed ‘time out’. I am so grateful that now I have more time to dedicate to my own daily yoga practice. This is an essential part of being a teacher and a healer and believe it or not, a mantra singer! Yet my personal practice is often the part of my day that gets eaten up by traveling and taking care of others whenever we are on the road. So I’m glad to be at yoga almost every day now. Wow, what an amazing eight months have come and gone. So much achieved and such a journey and experience for me, and my (wonderfully supportive husband) Fabian. And I am also grateful to all of you who followed, supported and cheered me on along the way. It’s been fantastic to observe and experience just how many awakened people there are out there, and I have had the privilege of interacting with so many of you on my travels. I have noticed that there is definitely a ‘shift’ of consciousness happening around the world, even in places and with people I would never have imagined it possible. And on a seriously positive note - I feel that this wave will continue to propagate into a tsunami of awareness that will sweep across the planet. It already feels like it is happening. All year while on tour, Fabian and I have exclusively stayed with people, which brought with it its own immense learning curve in tolerance, compassion and even more gratitude. Over this time, I have really gotten to know myself better. I have come to recognise that the more I know myself, the more I know about the world and the people in it. And yet strangely, the way I got to know myself was through my own interactions with all these new people who have now become friends. 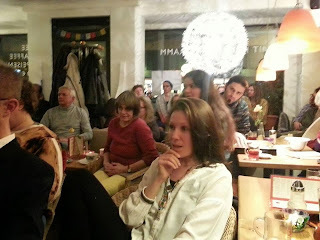 When I last wrote my blog it was the night before my TV interview. 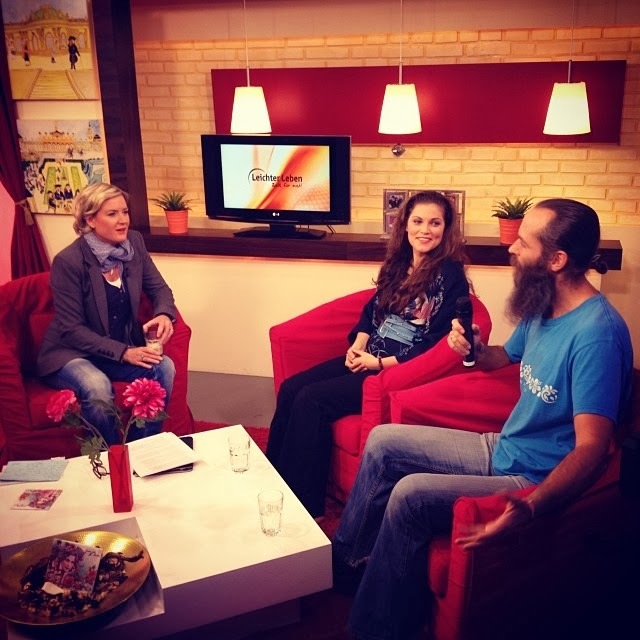 On the 18th of November, I was interviewed on Astro TV in Germany. 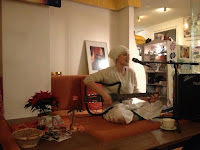 I got to sing three of my own compositions and spoke about my album Uplifting Mantras for You, which is now being distributed by Silenzio Records, exclusively in Germany, Austria and Switzerland (Silenzio is Deva Premal’s record label and the biggest German Music Label for Spiritual Music). I was interviewed in German, luckily Fabian was there to translate, because of my sparse knowledge of German (which is a very complex language to learn…yet it’s still on my bucket list). I was told to keep my answers short so my words would be easy to translate…… but somehow I think Fabian added in a bit more information in his German answers than I gave, which is his acute sense for PR coming to the surface! That afternoon I left for Hamburg and went to stay at a friend’s house just outside the city where the recording of my new album would take place. 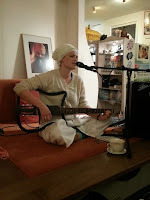 I spent five inspiring days with some superbly talented musicians recording my yet to be titled fourth mantra album for 2013. It will be out soon so please watch this space! 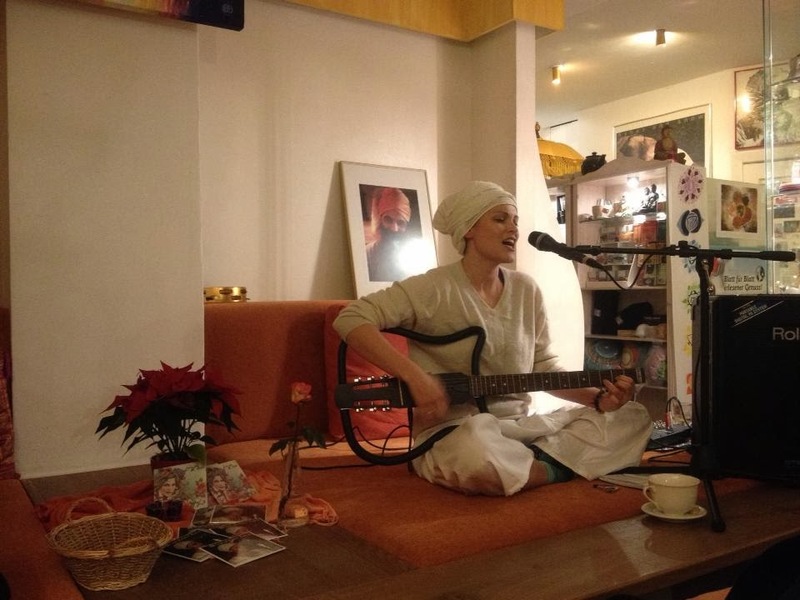 Then I finished off the last part of my tour in Germany with a packed out kirtan at the Golden Temple Tee Haus in Hamburg before flying on to London and then on to sunny South Africa.